Want to earn some extra cash? Want a schedule that is flexible? Wow, that sounds great right? Well… there’s an app for that. So what kind of jobs are on the site? Jobs can range from delivering cupcakes to offices, doing someone’s laundry, cleaning an apartment or the most popular-- assembling IKEA furniture. Tasks are paid online, no cash needed. Great for flexible schedules and picking up some extra cash -- some rabbits make up to 5k a month! 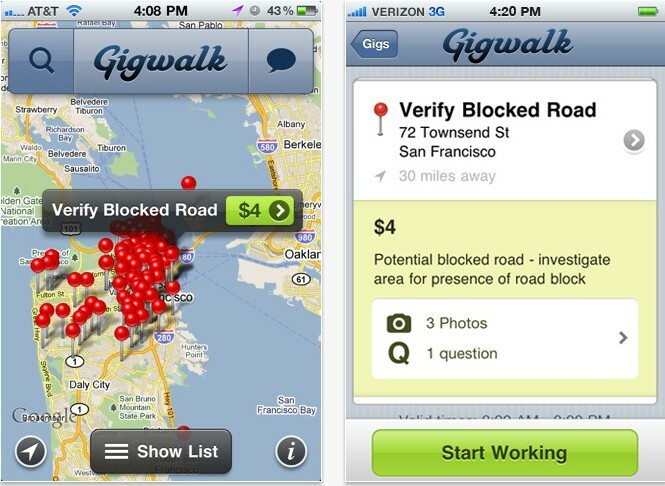 Gigwalk is a free iPhone app. It uses your iPhones GPS to tell you where simple one- off jobs are located in your area. An example of a job is to capture data like street signs, capture photos of a business or report product placement and signage. Most jobs take about 20 minutes to complete and you make about $4-7 per job although there are a lot of $10 jobs on there, too. After completing jobs in a timely manner, you also earn points called 'street cred' which can allow you to unlock even higher paying jobs. More than 140,000 gigs have been posted and clients of gigwalk include Microsoft, TomTom and MenuPages. Gigwalk is currently in 8 cities. Also, CheckPoints is another app that works in similar fashion. It's available for iPhone and Android users. 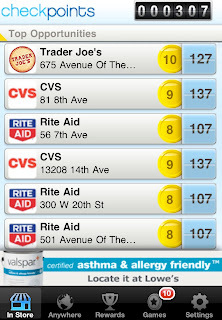 You earn points for checking in to stores and scanning product barcodes. In a particular store, there can be around 8-11 products to scan. Points can earn you airline miles, gadgets and Amazon and iTunes giftcards. Note - you have to find the extra time, obviously! 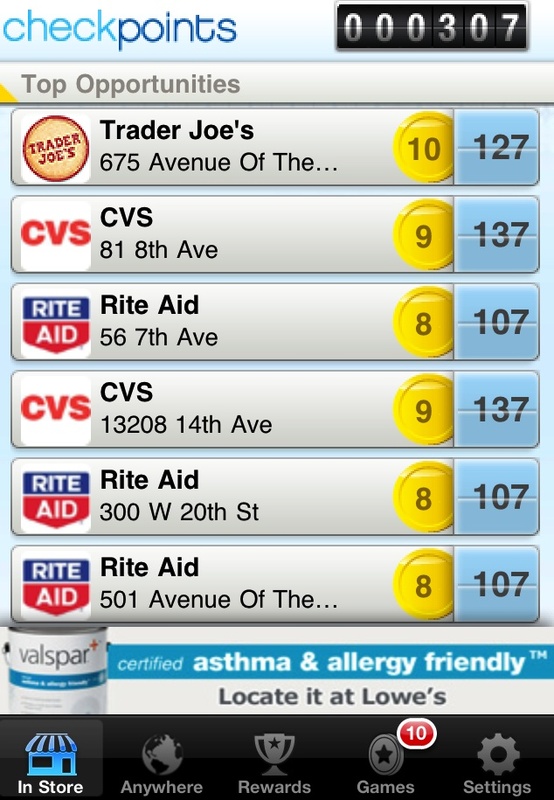 I was testing out Checkpoints and I was running around a busy Walgreens scanning 8 products for a half hour to get me 300 points. I need 2,500 points for a $25 Amazon gift card. When it comes to the higher paying jobs (~$10) in Gigwalk, many of the jobs require you to download and use the Microsoft Photosynth App. With the app you take panoramas of the businesses and add these photos to Bing. Kind of annoying to figure out the first few times. I'd recommend WeReward too, especially if you already use FourSquare as you can use it to check in on Foursquare and get paid for taking a picture. Doesn't pay much but I've made $40-50 on it. Awesome post Katie -- thanks for sharing Gigwalk in your App review! We are really focused on providing folks with a second source of income in these tough economic times. Currently we are only on iPhone but an Android App will be launching soon. Let me know if you have any questions about Gigwalk!